We must do the work to prove our fears groundless, otherwise it is our fears that will gain ground and our lives will be spent in their service. There is no such thing as a shaky situation, so any time you start to tremble, don't look around you for the fault. Look inward. It is the inner-ground you are standing on that is not solid. That seemingly scary condition, whatever it may be, is not the problem. It's your reaction that has you shaking. And that's why, if you'll become conscious of a fearful condition instead of afraid of it, you'll change forever your relationship with fear. It's true. Being conscious of your fear empowers you to interact with it in an entirely new way. This new inner relationship gives you the power to be awake to your fear's scary influences, instead of being their unconscious slave. And as each day you discover something new about the shaky nature of your own fearful reactions, they lose their power over you. Why? You see them for what they have always been: unintelligent, mechanical forces. To be consciously afraid means that you know you are frightened, but at the same time, to know that these very fears, as real as they may seem, are not you. Fear is really nothing other than a self-limiting reaction that we've always mistaken for a shield of self-protection. It's time to let it go, which you can do anytime you want. Here's how: Dare to proceed, even while being afraid. Employing this simple but higher instruction to proceed even while being afraid will not only show you the strange faces of all those habitual reactions that have had you on the run, but it will also empower you to start seeing through them. And, as you'll gratefully discover, each of your new insights into their actual nature removes some of their power over you. Better yet, their loss is your gain! The following step will help you face those fearful feelings and erase them from your life once and for all. Do you know someone whom you would rather run from than run into? Most of us do! Nevertheless, starting right now, resolve never again to avoid any person who scares you. In fact, whether at home or work, go ahead and walk right up to that critical or aggressive person and say exactly what you want, instead of letting the fear tell you to do what it wants. Have no ideas at all about the way things should or shouldn't go. Of course, this exercise is not an excuse to be cruel or rude. Remember, your aim in working with this step in self-liberation is not to win an ego victory, but rather to watch and learn something new about yourself. Drop any other misplaced self-conscious concerns. Let that person see you shake, if that's what starts to happen. What do you care? It's only temporary. Besides, that unpleasant person before you can't know it, but you're shaking yourself awake! Stand your inner ground even if it feels as though you might fall through the floor. Allow your reactions to roll by you -- instead of letting them carry you away as they've always done in the past. You have never been afraid of another person. The only thing you've ever been frightened by is your own thoughts about that person. Yes, you did feel fear, but it wasn't yours. And it wasn't towards someone stronger than you. The fear you always felt was in what you thought he or she was thinking about you. Amazing isn't it? You have been afraid of your own thoughts. Facing your fearful feelings brings them to an end because if you'll proceed while being afraid, you'll see all that's been scaring you . . . is you. 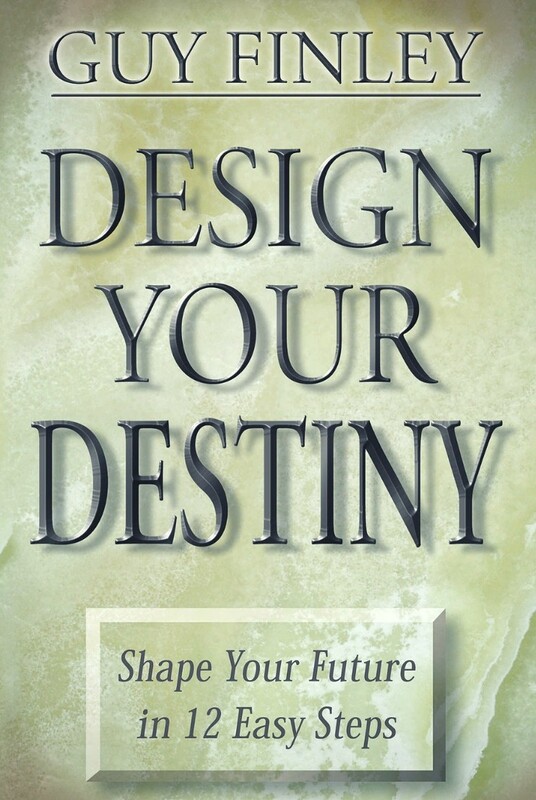 Excerpted From: Design Your Destiny: Shape Your Future in 12 Easy Steps, pages 71-74.